Comments: Softcover, 258 x 185 mm. 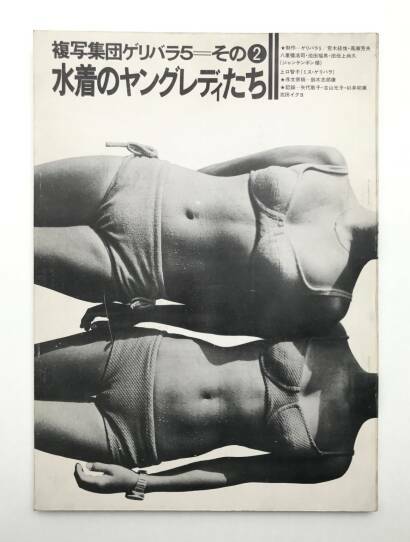 First edition, 1971. Black and white photogaphs. Text in Japanese. 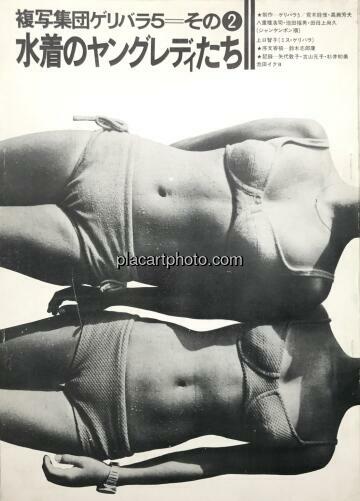 Included in The Photobook by Parr & Badger, vol.1, p.296. In pristine condition!!! except for a tiny scratch on the cover!! 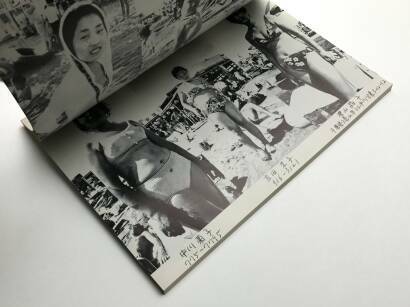 Mizugi no Yangu Redii-Tachi is a strictly conceptual book, each page containing a trio of three-quarter-length portraits of teenage girls on the beach, the majority posing somewhat self-consciously for the camera. The sheer repetitiveness of these bland images tells us much about the homogeneity of teenage culture, but that is not the controversial aspect. 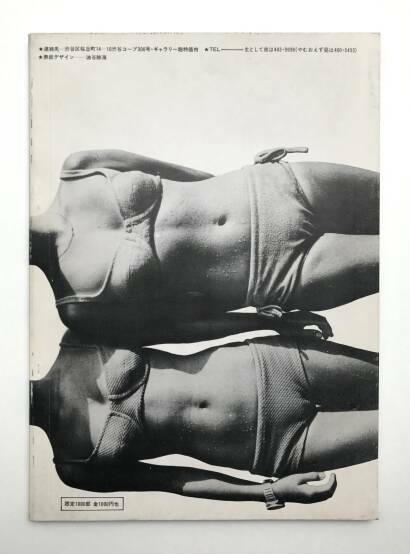 Beneath each photograph is the girl's adress and telephone number, printed in facsimile handwriting. The inevitable invasion of privacy inherent in the process of taking and publishing pictures is one thing. If the personal details below the photographs were valid, the book raises issues that go beyond imagistic representation into areas verging on abuse or sexual harassment.